Sydney Emergency Plumbing has been meeting all your plumbing needs for over 17 years. 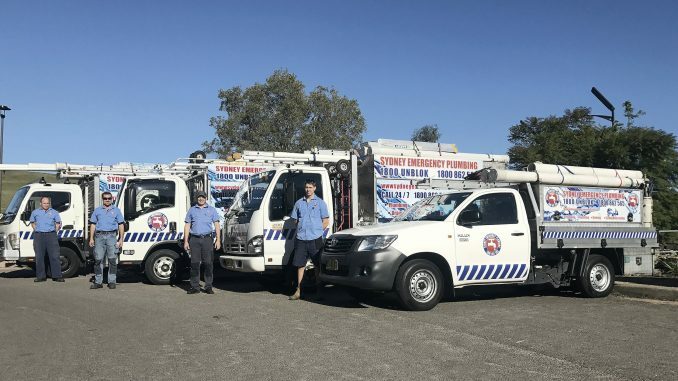 Specialising in 24 hour emergency plumbing services for your home or business, this small business offers fixes for blocked drains, leaking roofs, kitchen plumbing and more. We spoke to [NAME] about what it means to be a finalist in this year’s Inner West local business awards and what the future holds for the business. It’s very exciting. It’s the first time we’ve ever entered the awards so it was nice to be nominated and become finalist in our first year. What’s the best client response? The best thing we get is repeat customers, so customers that will basically ring us up after one of our boys, for instance Travis or Luke, who have been on a job and the customer specifically requests for them back. So the service they’re providing is so good that they like having the same person back. Can you tell us a bit about our service? We’ve been in business for 18 years. It started as just my husband and I, and we’ve since built a team up. We specialise in residential, strata and commercial maintenance plumbing. What does the future hold for Sydney Emergency Plumbing? We see ourselves growing, but we don’t ever want to be the biggest company in Sydney. We like providing a smaller scale service to our clients, and just providing professional services going forward and for future years. We always pride ourself on actually turning up on time, and we give customers excellent service. We may not be the cheapest out there but we always give our customers upfront costs. What’s do you enjoy about your job? We enjoy seeing our customers over the years. Some of our customers we’ve been working with for many many years. We’ve seen them grow from husband and wife to a family, and we get to know them on a professional and personal level. What do you like about being in the Inner West? The Inner West is such a fantastic area. It’s such a diverse range of people and cultures and we can provide a great level of service to everybody that we serve. Do you have a message for the clients and people who voted for you? Thanks very much to everybody that voted for us. We wouldn’t be here without you and we look forward to serving you in the future.